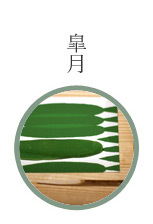 cold dews fall on plants. 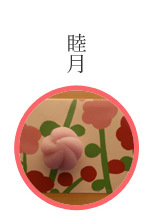 It is chilly in the mornings and evenings. 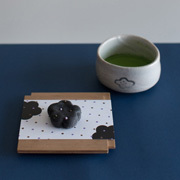 We feel autumn is deepening. 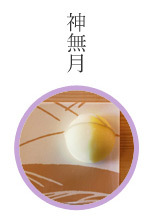 reflected with the light of the morning sun. 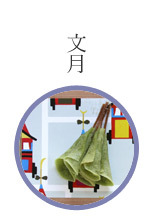 Bracing and comfortable days go from now on until winter comes. 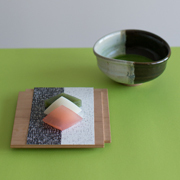 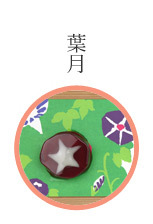 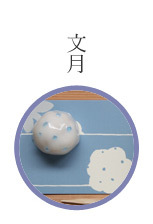 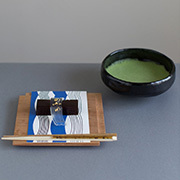 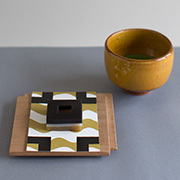 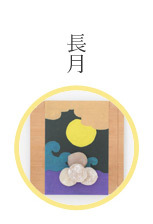 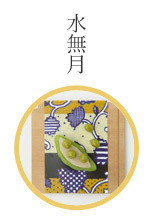 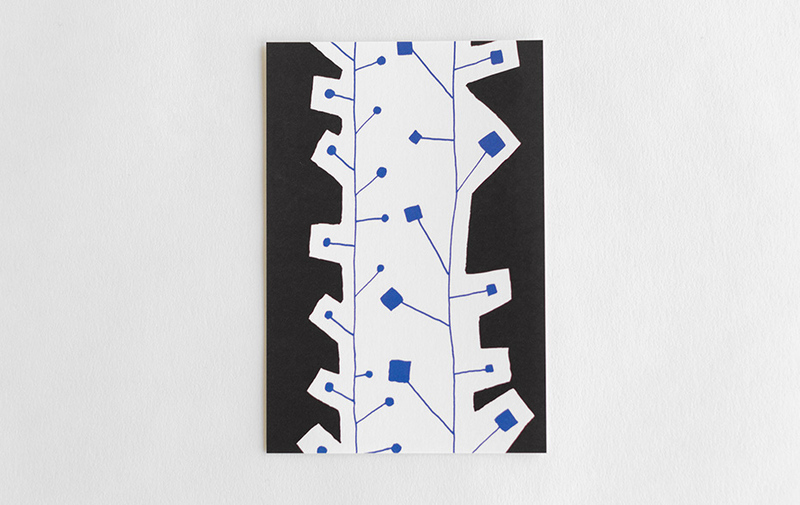 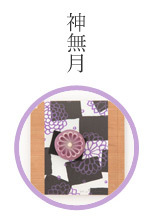 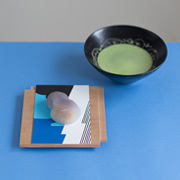 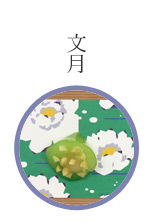 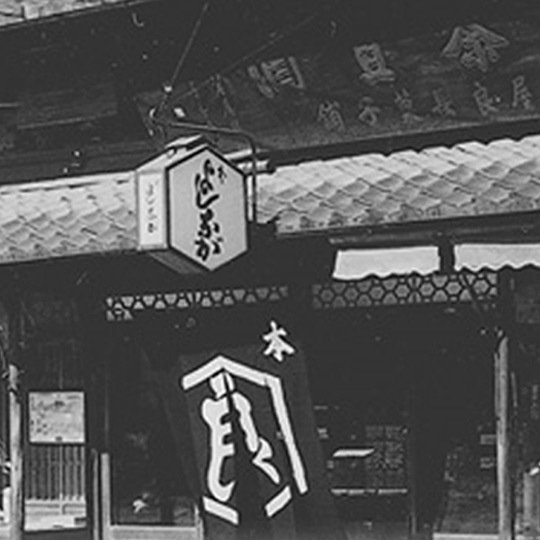 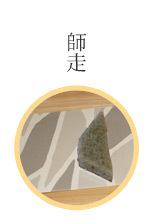 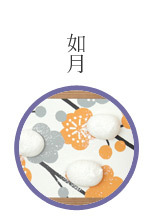 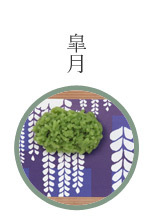 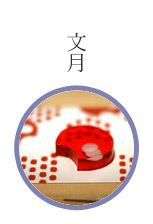 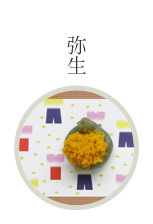 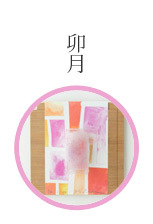 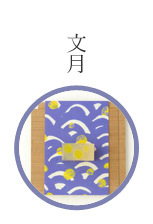 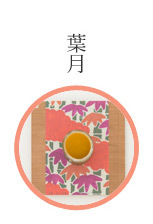 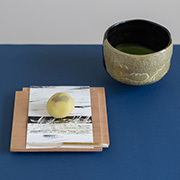 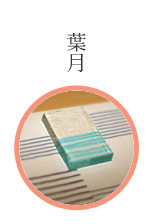 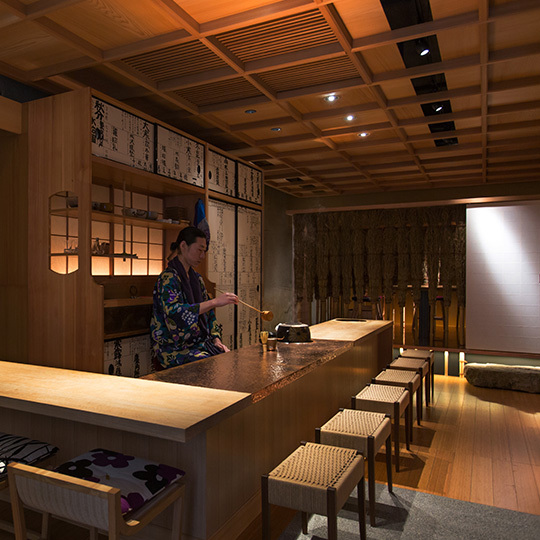 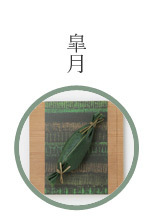 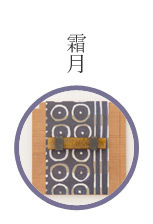 October’s textile “Kanro” is designed in the image of a plant with morning dews. 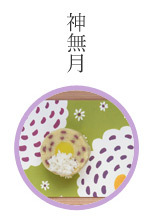 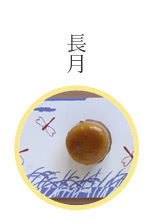 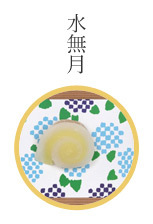 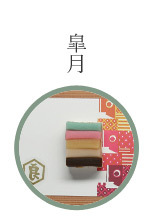 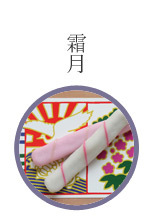 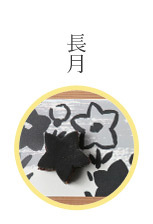 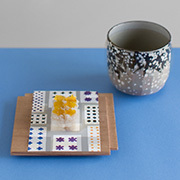 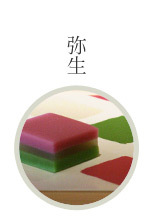 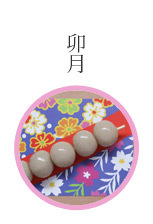 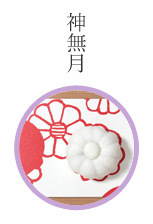 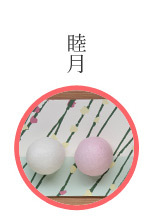 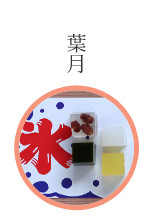 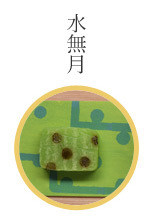 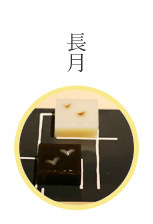 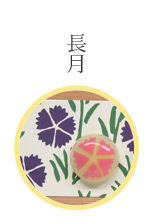 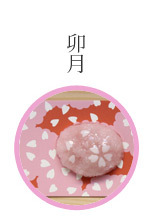 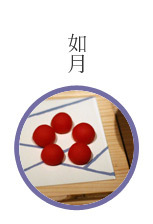 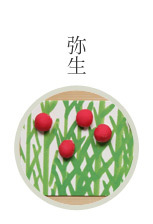 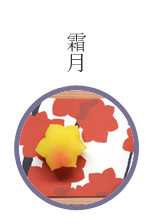 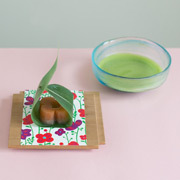 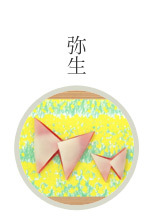 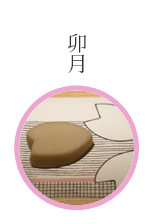 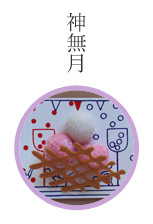 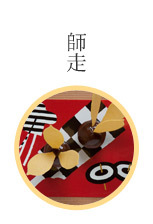 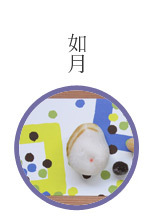 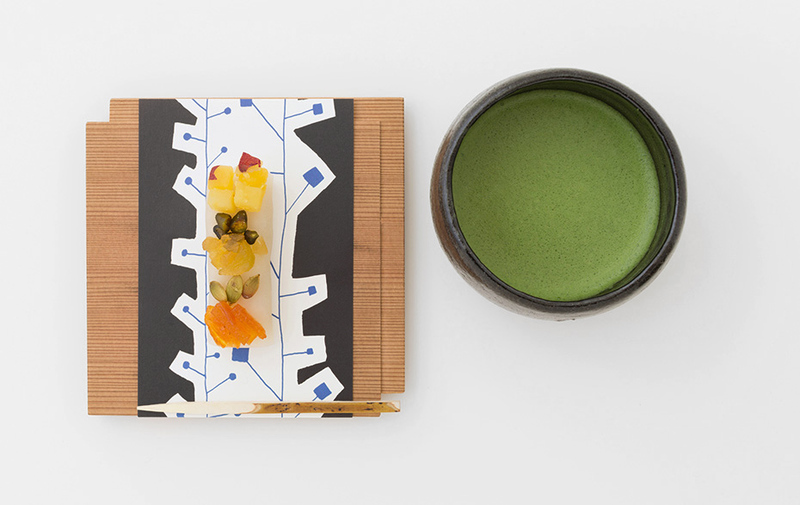 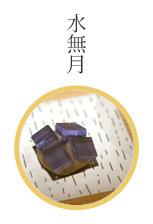 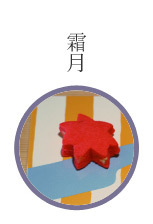 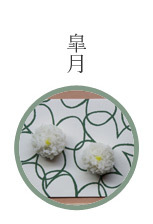 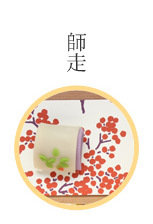 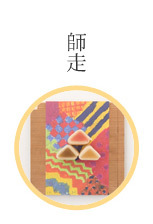 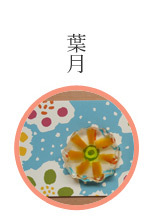 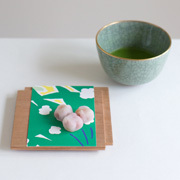 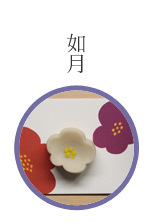 The harvests are abundant in this season, and this wagashi expresses “the harvest autumn”. 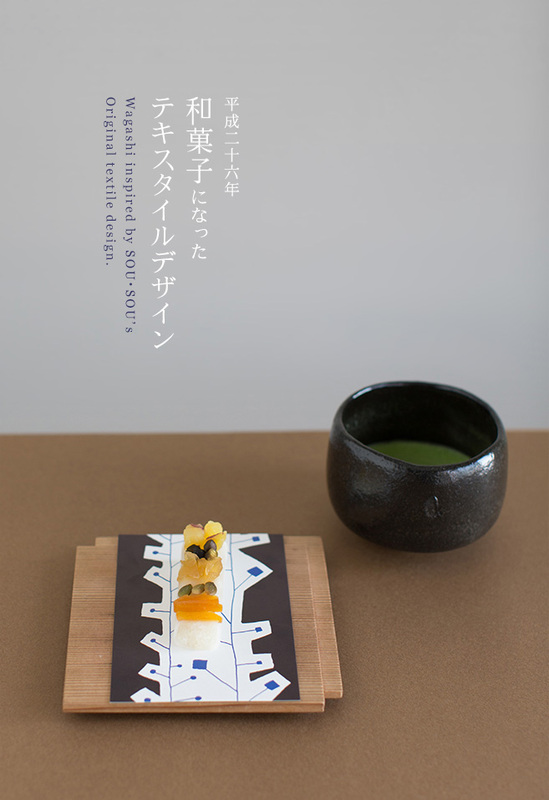 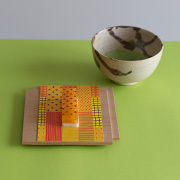 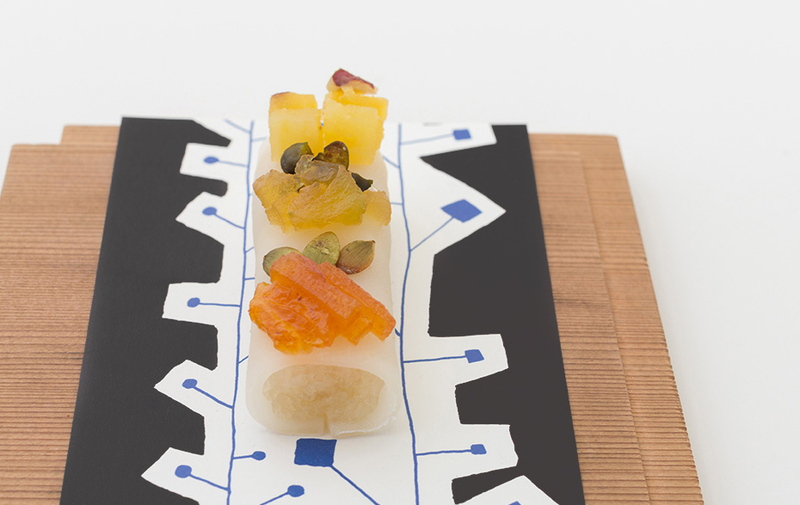 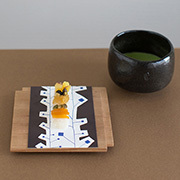 Sweet potato, pistachio, apple, pumpkin seeds and Japanese persimmons are on the top of a thin sweet rice jelly layer. 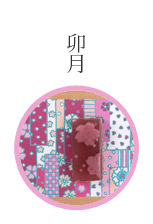 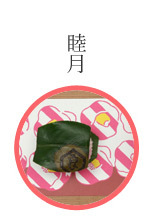 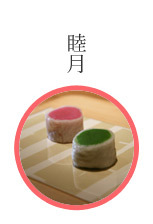 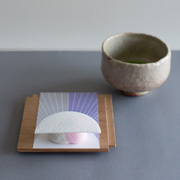 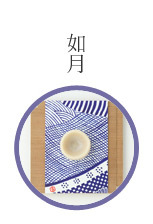 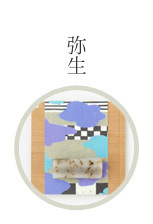 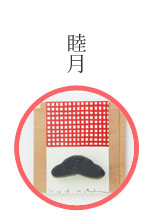 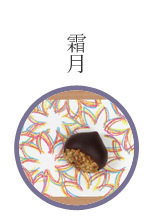 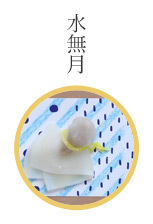 Under the layer, a bar of domyoji (sticky rice steamed and dried) and sweet potato paste inside of that. 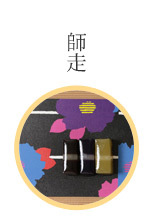 When you put them into your mouth together, the taste of autumn will spread on your tongue.